Paid too much or too little tax? 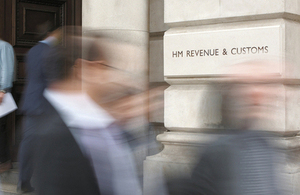 If you’ve overpaid or underpaid your tax during the tax year, we’ll notify you between now and October 2015. It’s called a P800 tax calculation. This year, if you’ve paid too much or too little tax, we’re making the process as easy as possible for you. If you have paid too much tax, we will automatically send you a cheque within 14 days of receipt of your P800. You won’t need to do anything and don’t need to contact us. This entry was posted in hmrc, tax payment and tagged hmrc by clarelondon. Bookmark the permalink.